This may be just another coincidence but there are some elements that seem to be common between the logo designs of Google Chrome and that of ThinkFree. 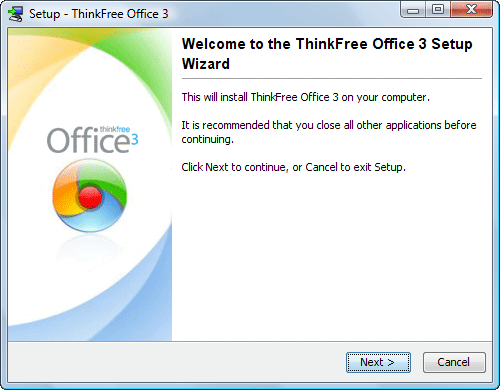 It’s not the official Thinkfree logo but is part of the installer that ships with the desktop version of Thinkfree Office 3. Other illustrations hint that the inspiration for Google Chrome logo may have come from Simon and Pokemon. Am sure these all are mere coincidences but the Thinkfree designers probably aren’t too happy about this and have made a ‘parody’ video on how the Google Chrome logo was designed.